come, as Arbaaz is now working on Dabangg 2.
year 2012 augurs good luck for this lesser known Khan. Khan is born with Venus in Leo. Jupiter is exalted in his chart. 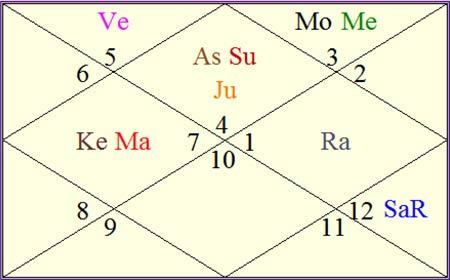 over Natal Rahu and is in Trine with Natal Venus. will continue his journey as a producer, notes Ganesha. relatively hassle-free during the year ahead. will appreciate his occasional appearances in films.